Advisors are offered individual case consulting by leading expert Michael Anthony, JD, CMP™ for a wide variety of case issues. The case consulting program supports a wide variety of professionals. While the bulk of support assists the practice of elder law attorneys and financial advisors serving the senior market, we can provide support for social workers and long-term care facilities needing to deal with complex cases. Full Case Analysis – A full review of your client’s case, including a written plan of action that evaluates all alternatives. This can be helpful for newer planners who are still learning the ropes but want to provide full comprehensive planning services to their clients. Second Look Case Support – Attorney Anthony can review your plan to make sure you haven’t overlooked anything. This can be best for sole practitioners who don’t have a partner down the hall to bounce ideas off of. The benefits of collaboration can help make sure that every base is covered and give you the confidence to grow your practice without having to grow your staff. Denial Review – If you get a denial from the Medicaid department, you and your client have to understand that this can be common – even when you’re right. 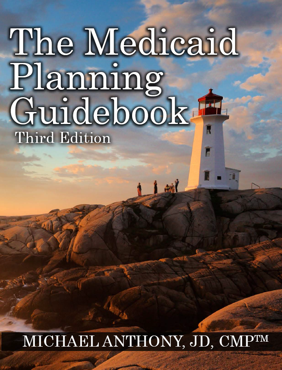 Caseworkers often misinterpret the Medicaid rules or simply just make mistakes. If it’s your responsibility to overcome the denial, attorney Anthony can provide direction and assistance with fair hearing issues and even litigation support if you need to challenge a denial in court. If you’re not equipped to litigate a case, Mike can help find you an attorney experienced in state and federal benefit litigation. VA Benefit Harmonization – Sometimes Medicaid benefits can work well in concert with VA benefits; sometimes it can be a mess because the different rules make them incompatible. Attorney Anthony can help you harmonize benefit planning between the two benefits and, when needed, help you find someone accredited with the VA to help you with any improved pension claims your clients may have. 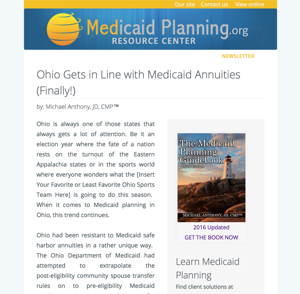 Financial Product Design – Many Medicaid Planning cases can benefit from the proper use and design of Medicaid financial products such as annuities, promissory notes and funeral trusts. These are complicated tools that should never be left to a novice to design. Attorney Anthony can provide assistance to help determine the right use and proper structure. Hardship Waivers – Hardship waivers can be used to overcome a penalty for transfers/divestments of assets and to overcome estate recovery after the death of a Medicaid applicant. Getting a waiver is rare and difficult to obtain. If you have no choice but to pursue a waiver, Attorney Anthony can help increase your chances for success. Co-Authorized Representative – Attorney Anthony can serve as a co-authorized representative on the Medicaid application to help move things along more smoothly and help avoid common Medicaid application processing issues. Fortunately, you don’t have to go it alone. By having Michael Anthony, JD, CMP™ and his team as a resource, you can beef up your clients’ planning options and your practice all at the same time. Consulting services are discounted for those who are enrolled in one of his mentoring programs. These services are provide to properly licensed advisors providing planning services. Services are not provided directly to the public. Case consulting services are provided by Michael Anthony, JD, CMP™ in is his individual capacity and are not provided through or with the oversight of MedicaidPlanning.org.